Used especially during travel, this soft watch holder for men or women is made in high-end authentic leather. 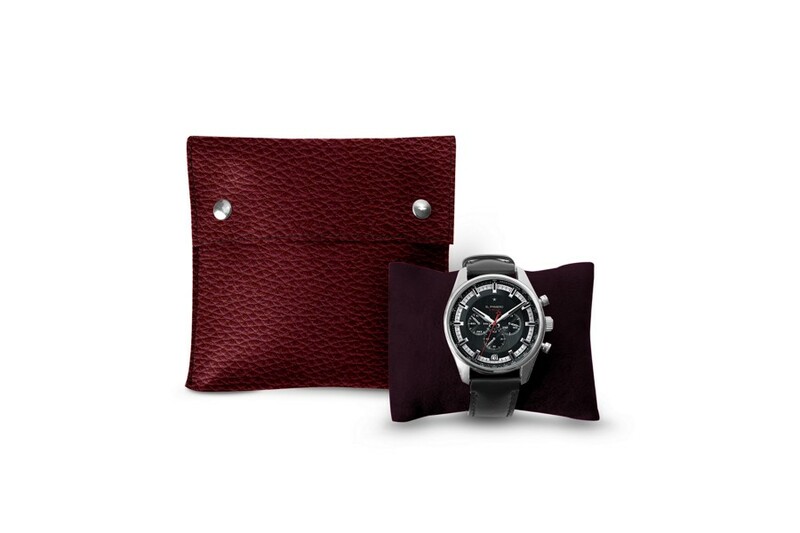 Wrap your luxury watch around the microfiber lined cushion, slip it inside the square watch pouch and close it with the 2 snap buttons. 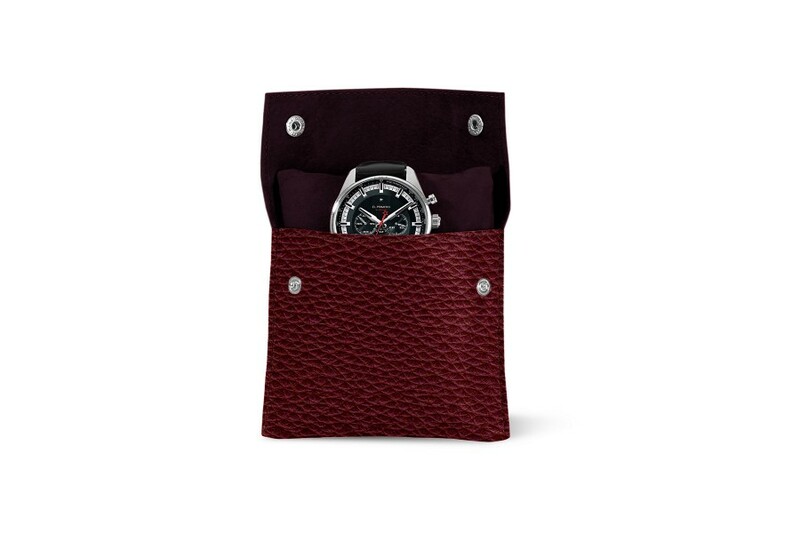 Your watch will be protected in this elegant watch travel case in leather, which you may even customize with the engraving of your initials for instance.